ancy getting your hands on a motorcycle which is exceedingly rare, if you pardon this expression? 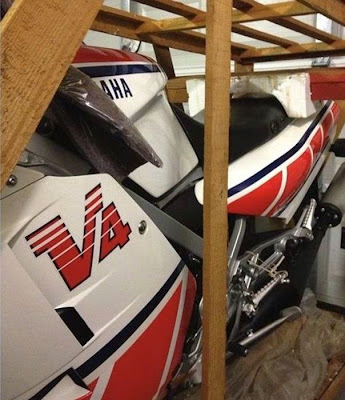 Australia has one such machine for sale in Nerang, Queensland: an 1985 Yamaha RZ500N, new and in a crate. 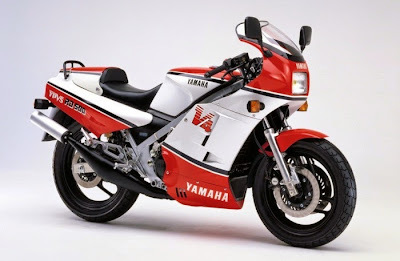 The bike is an Australian model, imported by a Yamaha dealership in Brisbane, back in 1984. It has never been even started and comes with keys, mirrors, belly pan, books and all, just as it has left Japan. 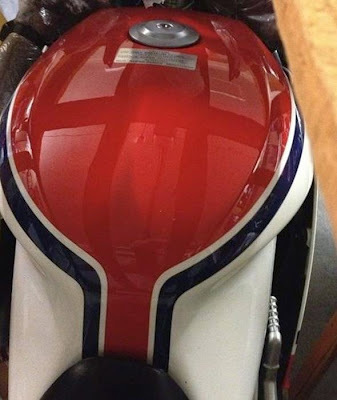 If the name alone doesn’t tell you too much about the bike, here are some interesting details. You’re looking at a V4-cylinder 2-stroke 499cc beast, apparently created as a streetable replica of Kenny Roberts’ YZR500 GP machine. 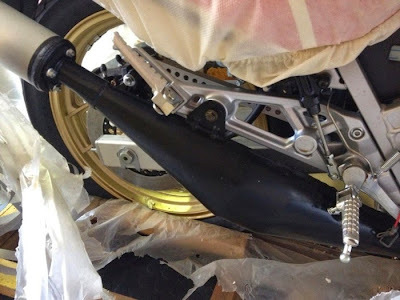 The road bike was lighter than the race machine, but Yamaha detuned for safety reasons. 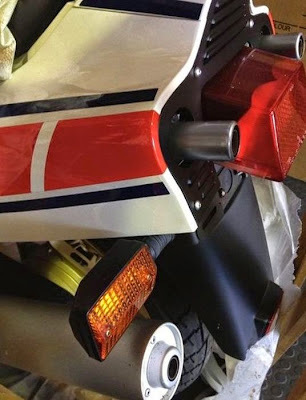 The race bikes back in the day were already insanely hard to master, and putting such a bomb on the streets would only mean a sure way to having the bike thrashed and people injured or killed. Some younger guns are maybe raising an eyebrow when hearing about a half-liter machine that is so vicious. 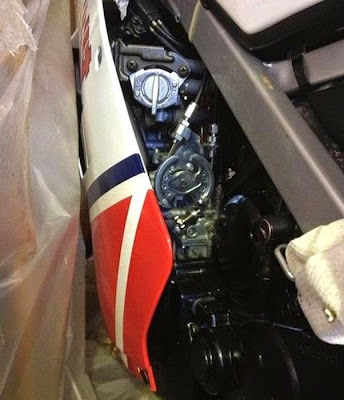 Maybe they are more used to the modern 600cc supersports that tap into the 130 horsepower zone, but believe us, a 500cc two-stroke bike is not the beast you want to fool with. 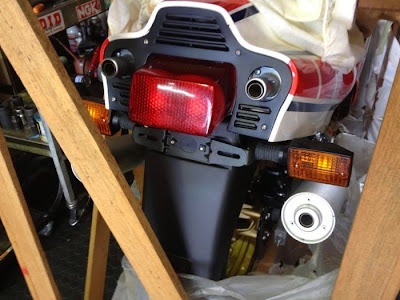 For a glimpse of what GP bikes used to be, you can also watch The Unrideables GP500 racing documentary. 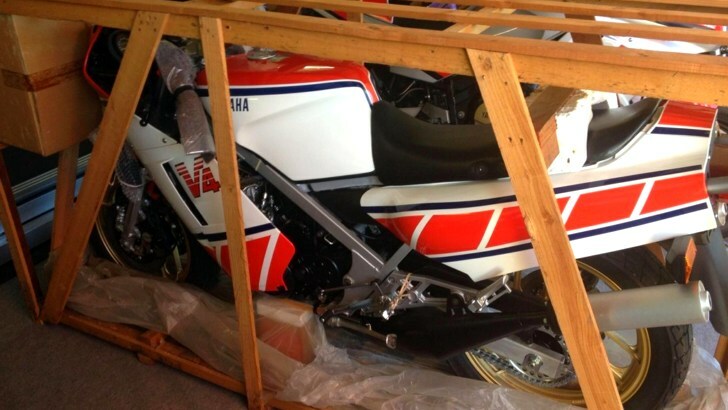 The 1985 Yamaha RZ500N is awaiting its new owner in the crate, with a price tag of $38,490 (€22,265) at Trade Motorcycles. The price isn’t exactly sky-high, and we could expect to see someone picking the bike for actual track fun. We just hope the guy that does so knows his way around race bikes very well.